Do you want to know the driving age in Spain for motorcycles? ✅ What types of motorcycle license are there? ✅ If you are thinking about getting your driving license in Spain, keep reading! A few years ago, driving a motorcycle at 14 years old was allowed. It was as simple as attending some theoretical classes to know the basic safety rules and you could get the A1 license to drive a motorcycle. This has changed a lot after several legislative changes. 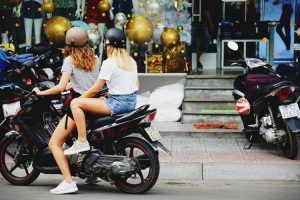 Currently, to obtain a moped license (AM permit), you must be 15 years old at least and, pass a theoretical and a practical exam, which, in addition, are not validated by any other higher permit. Last year, the DGT raised the minimum age to ride a motorcycle and impose the alcohol rate to 0.0, due to the high number of accidents. It is a fact that reducing the accident rate of motorcyclists and their passengers is a priority for the DGT, so they are considering more restrictive measures to drive a motorcycle and delay the age for getting the motorcycle permit. 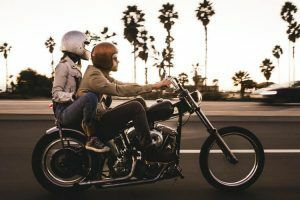 In this post we explain what is the minimum age to drive motorcycles in Spain for each of the motorcycle permits. As we have commented, in the past 24th Barcelona Road Safety Forum, the DGT proposed several measures and, among them was: increase the minimum age to get the CBT test in Spain and the rate of alcohol 0.0 for motorcyclists. They commented that, even if the data on traffic accidents and their consequences are reduced, the wrong or dangerous behaviours do not decrease, and the DGT wants to tackle this with more vigilance on two-wheeled vehicles. The proposal that was considered was to raise the driving license age of motorbikes to 16 and to wait until the age of 18 to obtain the A1 permit, the same age at which the A2 can be obtained. Next, we explain the types of motorcycle driving license permits that exist according to age. Currently, the minimum age to drive motorcycles in Spain is 15 years old. This law came into force on September 1, 2010, due to the reform of the General Drivers Regulations that converted the old driving license of these vehicles into a new driving license, the AM. Keep reading to see what this motorcycle license consists of. Getting the driver’s license has become an increasingly difficult and expensive task in recent years. In this post, we explain each driving license permits according to age. 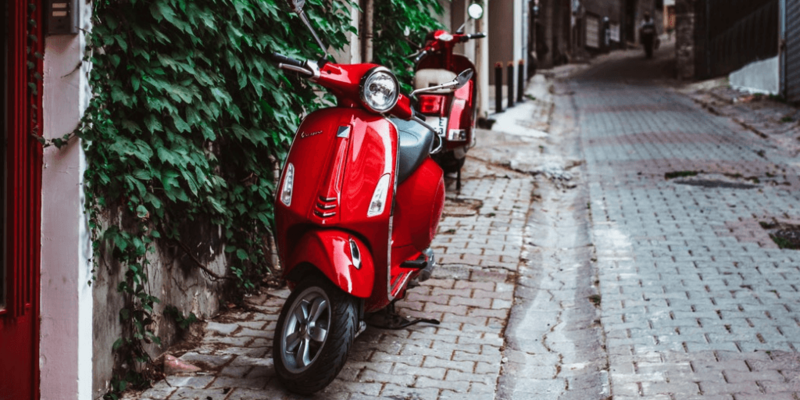 At age 15, it is possible to drive a motorcycle with the CBT test in Spain, this license is valid for driving mopeds, tricycles and light quadricycles (microcars weighing less than 350 kg). In all cases, the vehicle must have a maximum speed limited to 50 km / h. The CBT test in Spain requires a specific theoretical test and a practical test to demonstrate the skills in a closed circuit. The minimum age to drive a motorcycle in Spain with an A1 permit is 16 years old. With this permit, you can drive motorcycles with a maximum displacement of 125 cm³, with a maximum power of 11 kW (15 HP) and with a maximum power/weight ratio of 1kx / kg. In the case of the quadricycles, the engine may have a maximum power of 15 kW (20 HP). The age for getting A2 permit is 18 years old. With this permit, you can drive bikes with a maximum power of 35 kW (47 hp) and a power/weight ratio of 0.2 kW / kg. The A2 license was established in Spain in 2010 and it is the method chosen by the DGT to have an intermediate step between the A1 permit and the driver’s license A. To be able to drive motorcycles and motorcycle tricycles in Spain, the A permit is necessary and the person must be at least 20 years old. 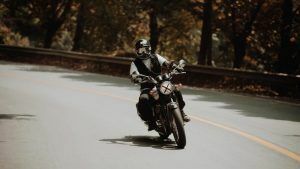 This license allows to drive motorcycles of all kinds, the only impediment is that you need to have two years of experience with the A2 permit and, after that, you only need to take a nine-hour course to get the A license. If you were thinking about getting your driving license in Spain but you were not sure about the minimum age of each permit, we hope this post has been useful. Do not forget… Always wear a helmet! Rate this article about driving age in Spain for motorcycles.